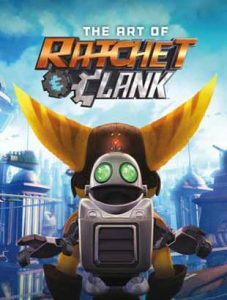 Well, okay, putting aside a movie that not many seemed to like, there’s this: The Art of Ratchet & Clank. “Dark Horse Books and Insomniac Games proudly offer a look back at the history of the Ratchet & Clank saga in a Qwark-tastic collection of never-before-seen concept art and behind-the-scenes commentary chronicling eleven amazing games and the brilliant studio that created them! The 15-year anniversary retrospective of one of the most influential PlayStation games!” It’s coming in hardcover this March. Recently at CTN Animation Expo in Burbank we came across an artist named Donna Vu. She is the lead artist and art director on Dragon Roll, an on-line game published by Sleepless Skink Productions in 2016. According to their web site, it goes like this: “Fun Guo and Shiu Mae [a pair of young dragon siblings] are on an adventure to get their uncles and aunt back from their homes. After a fight, while preparing their dad’s surprise birthday party, they all go their separate ways. Now they must find and remind them of the important roll that family plays in all our lives, all before their dad gets home.” Remember to visit Donna’s web site too, as she has lots of development sketches for the game. You may recall we previously mentioned Jed Henry and Dave Bull and their proposed video game Edo Superstar, with an art style based on the ancient art of Japanese wood-block prints. 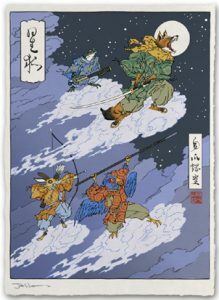 Well now their web site tells us they got the game completed, and they’re also making and selling their own line of wood-block prints (copied as giclees). A close look at many of the prints will reveal some subtle (or not-so-subtle) comic book, animation, and video game subjects depicted in a new and stylized manner. Recently the artist A.M. Scharf (who creates under the name Acidpluvia) put up a link to an interesting Kickstarter campaign. 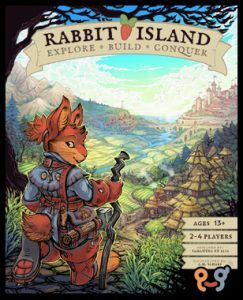 Acidpluvia has been asked to be the official illustrator for Rabbit Island, a card-and-tile game created by Leslie and Samantha Et Alia of Infinite Heart Games. 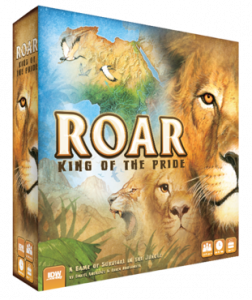 “Play as one of the four Tribal Leaders and explore a new island every game in this light 4x game for 2-4 players. Build up your civilization using your Carrot Tokens and special Action Cards – can you conquer your opponents in 20 rounds?” The campaign page has much more in the way of artwork and descriptions of the game play. The Kickstarter campaign runs through mid-July. After a successful Kickstarter campaign last year, Tanemaki Designs recently introduced a new animal-themed board game called Vivarium. The basic premise is that in a future time of environmental destruction, a bio-dome has been set up as an “ark” to house and hopefully preserve a part of Earth’s remaining animal species. 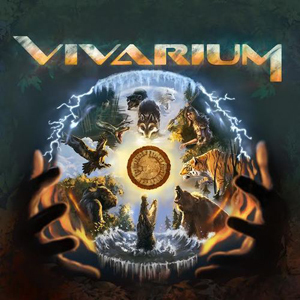 According to the official web site, “Vivarium is a strategy board game for 2-5 players where you assume the role of a species fighting for survival inside a new environment. Equipped with just your instincts and fears, you must utilize your species’ unique abilities and adapt in order to survive. By acquiring new cards, claiming territory, enduring natural disasters, defending the Oasis and completing objectives you can increase your fitness to survive. The species with the most fitness at the end of the game wins! Vivarium has 8 distinct species, a modular game board and varied seasonal events that ensure every game is unique and layered with strategy.” It’s been making an appearance at various game and comic book stores, so look for it near you. So how’d we go and let this phenomenon pass us by? 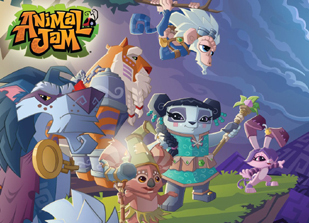 Animal Jam is an on-line MMORPG gaming environment, launched in 2010 by the National Geographic Society. It was designed to use a fantasy setting to teach young children about zoology, natural history, and ecology. According to Wikipedia, “Animal Jam takes place in a fictional area known as Jamaa, containing various biomes and cartoon player-created animals. Players can create an animal with an anonymous 3-part name, such as ‘Crashing Magicshark’, dress it up with virtual clothing, and control it in the gameplay environment. The original six virtual animals that could be created were the panda, rabbit, tiger, wolf, koala, and monkey. 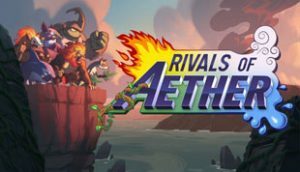 Many more animals have been added following the six, letting players have the possibility of seeing one of their favorite animals in the game.” Now, after years on line, Dynamite Entertainment have announced the premier of the first Animal Jam comic book series, coming later in 2017. There’s an article about it over at News-a-rama. The first appearance of the new comic will be part of Dynamite’s contribution to this year’s Free Comic Book Day in May.